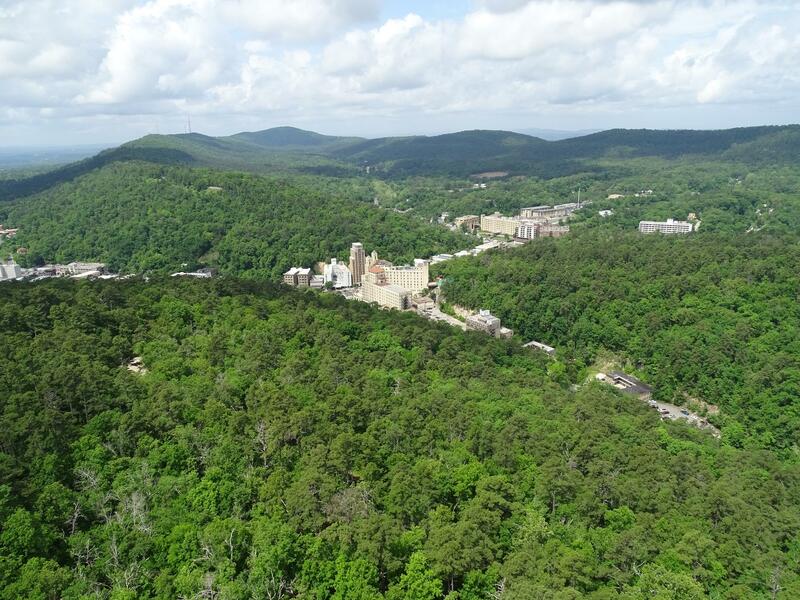 In 2013, the GIC partnered with the state of Arkansas to build a model of the state's highest value natural landscape assets. This model is available and can be run at any scale to help a county, region or watershed select its most significant resources. 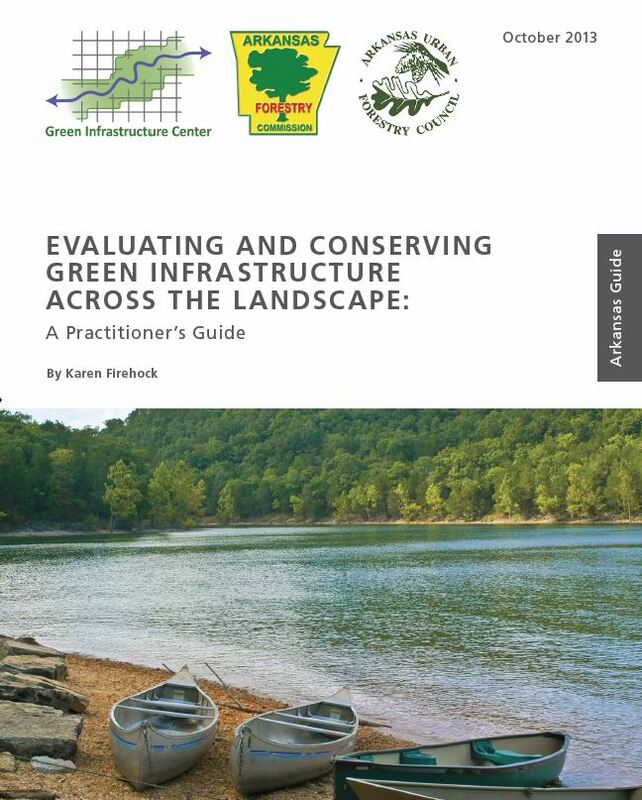 Evaluating and Conserving Green Infrastructure Across the Landscape: A Practitioner's Guide provides the step-by-step instructions for building a green infrastructure map and strategy as well as many creative ways for making the case and building support. Funded by the Arkansas Forestry Commission, the Arkansas Urban Forestry Council and the USDA Forest Service's Southern Region. The City of Hot Springs hired the Green Infrastructure Center to help them create a green infrastructure plan. The plan evaluated the city's highest value natural resources – its green infrastructure – and identified opportunities them. The project was completed in fall 2016. An advisory stakeholder group made up of city agencies, the Chamber of Commerce and Visit Hot Springs, evaluated the maps and developed the strategies. Download a copy of the plan here. Hot Springs is a unique community, as much of the downtown is surrounded by the Hot Springs National Park. The park was formed to protect the natural thermal spring waters, flowing out of the ground at an average temperature of 143°F at one million gallons of water daily. 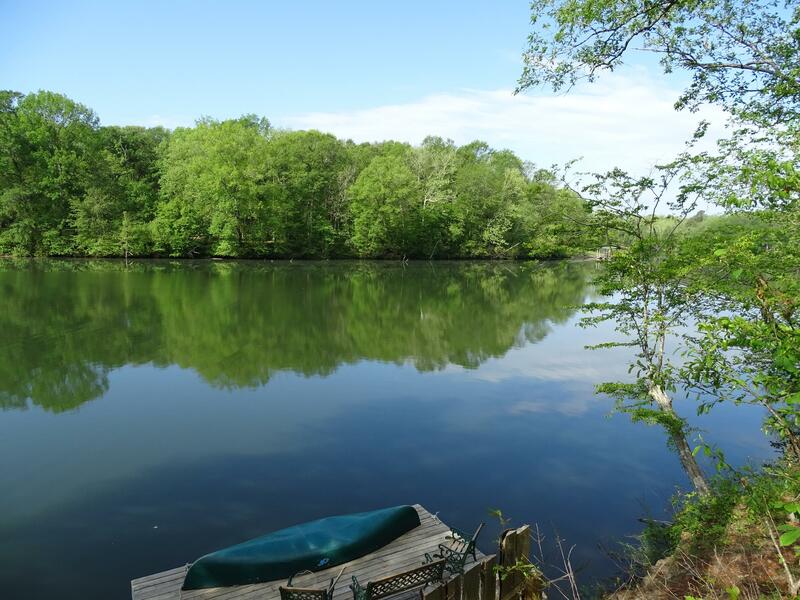 Native Americans called this area “the Valley of the Vapors,” and it was said to have been a neutral territory where all tribes could enjoy its healing waters in peace. In 1832, President Andrew Jackson designed Hot Springs as the first federal reservation. Hot Springs Reservation was essentially America’s first national park, predating Yellowstone National Park by 40 years. It is also one of the first places where doctors began to write prescriptions for taking walks for health. 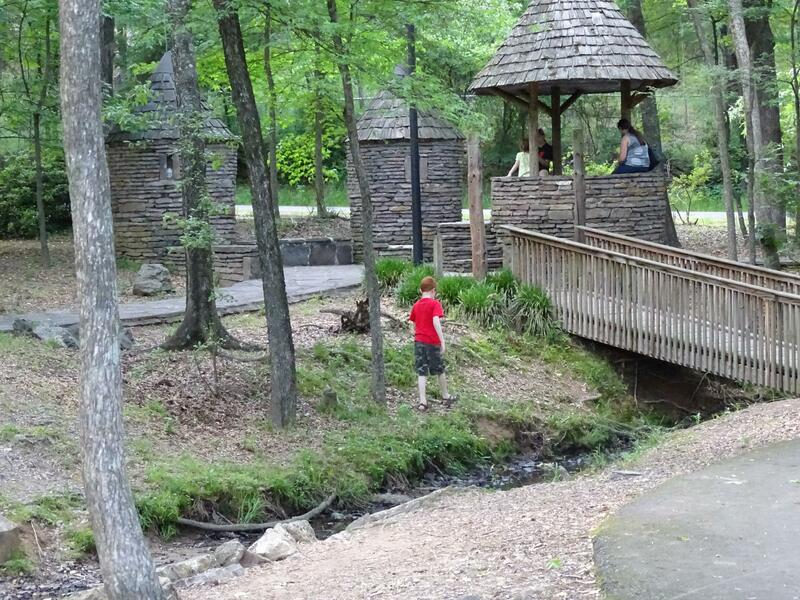 Hot Springs was one of the first cities to begin prescribing walking for health. Dr. Max Oertel was a German born doctor who developed a system of exercise for strengthening the heart muscle. 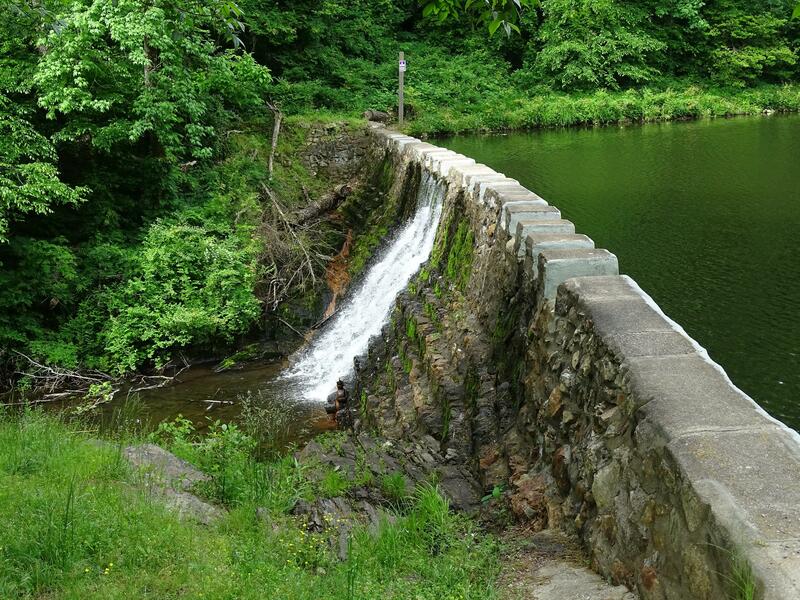 His idea was adopted in Hot Springs as a part of the regime of taking in the waters. He prescribed walking in the mountains over prescribed courses. The idea was perfected at several European spas. Hot Springs, developed its courses on roads and trails, and patterned them after the summer course at Reichenhall. When completed 1914, automobiles were still excluded from the mountain roads, but horses and hikers managed to use them compatibly. 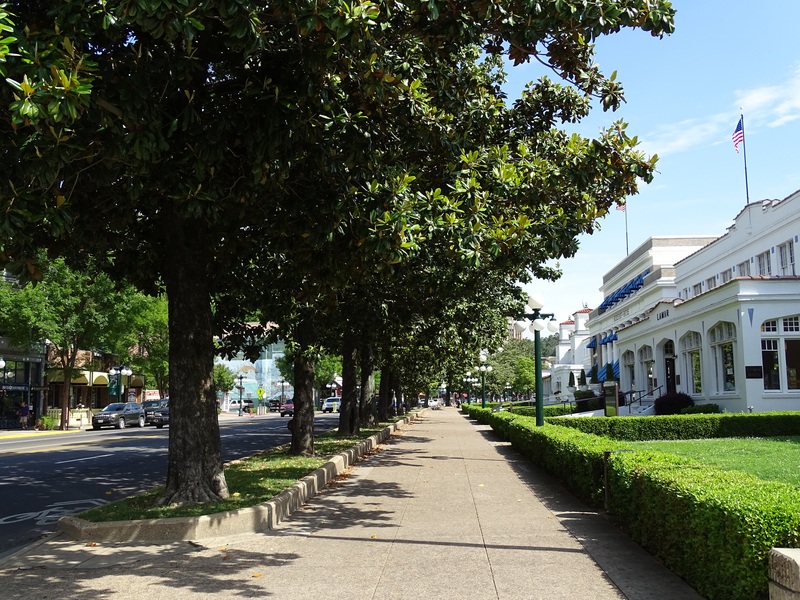 Bath House Row, Hot Springs. 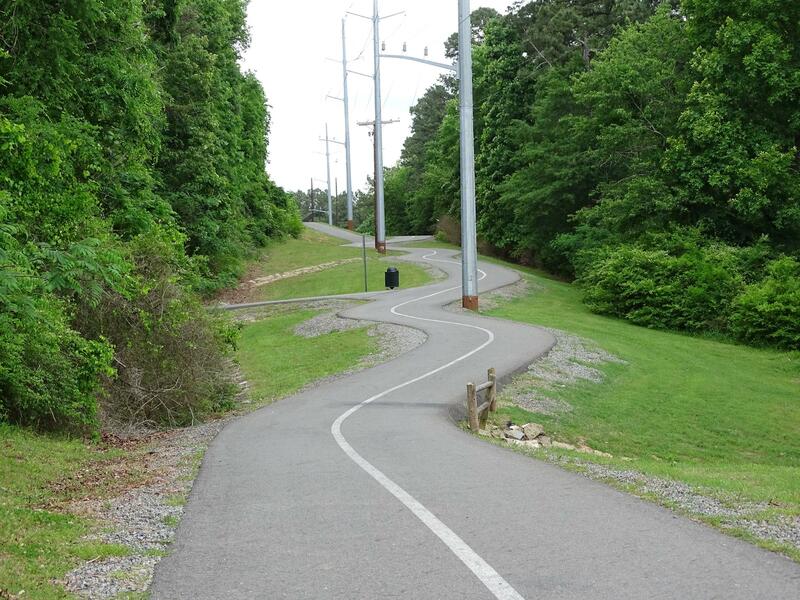 Hot Springs Creek Greenway Trail. View of Hot Springs from an observation tower. Children's fort at Hollywood Park.